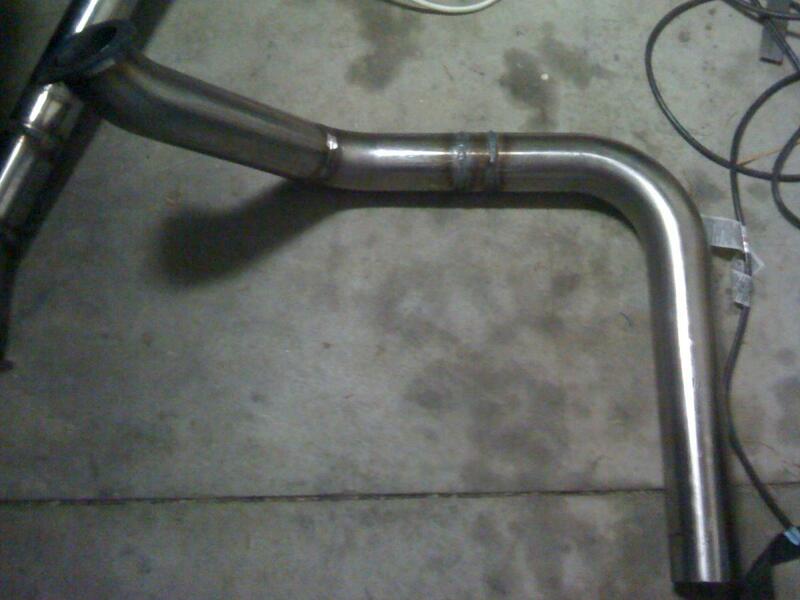 I just got back from the shop that "was" going to coat my header and downpipe. The owner said he has been in the business for 18 years and didn't recomment wasting money coating mild steel turbo hot side parts. Stating I would be lucky even after coating for my stuff to last one month. WTF!!! 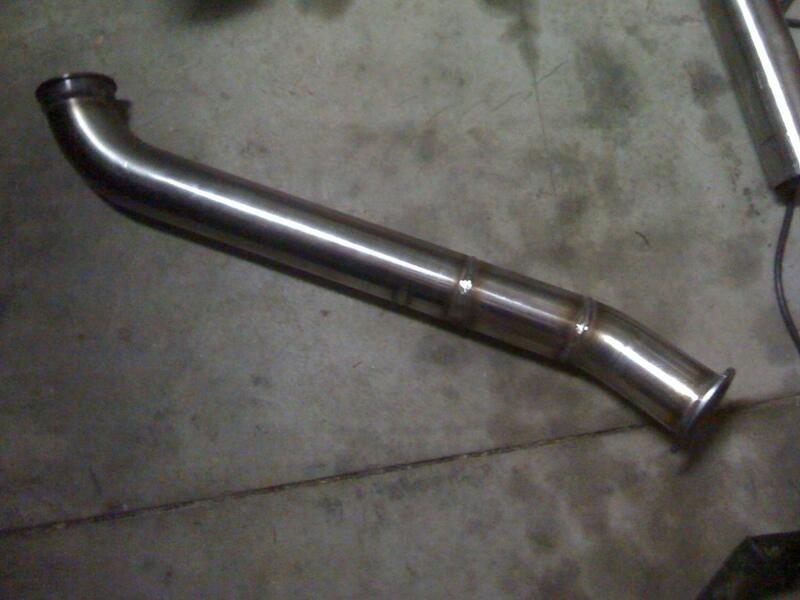 I have one friend with a 03 F150 with flipped mani's and mild steel pipe and flange with a Turbonetics T-66. He's been driving it for almost 4 years now like that, His coating of choice was Tech-line coatings that he just cured on the vehicle, another buddy has a 00 Lightning with a set of Ebay shorties flipped with mild steel hot side painted high heat flat black running a large T4 Precision turbo with no problems to mention. 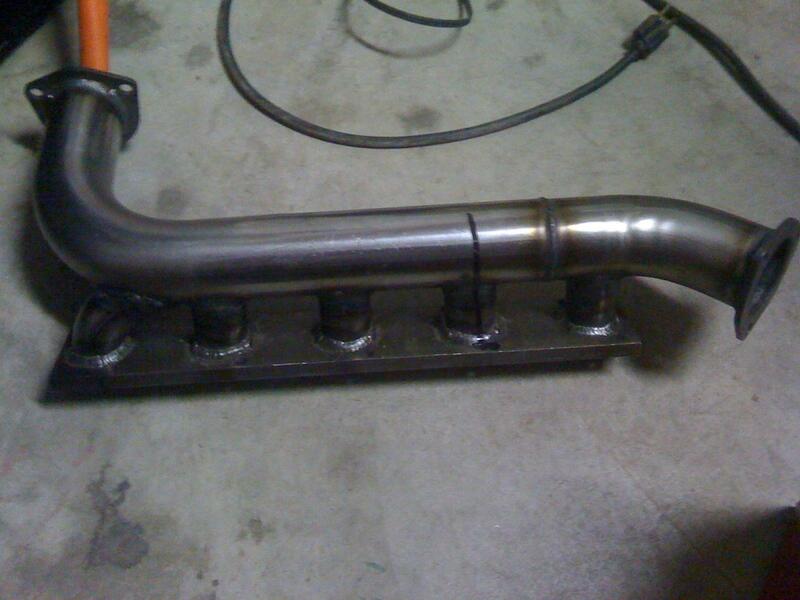 We installed this setup spring of 07. I have already posted pics of my hotside but here they are again. Any input is greatly appreciated. 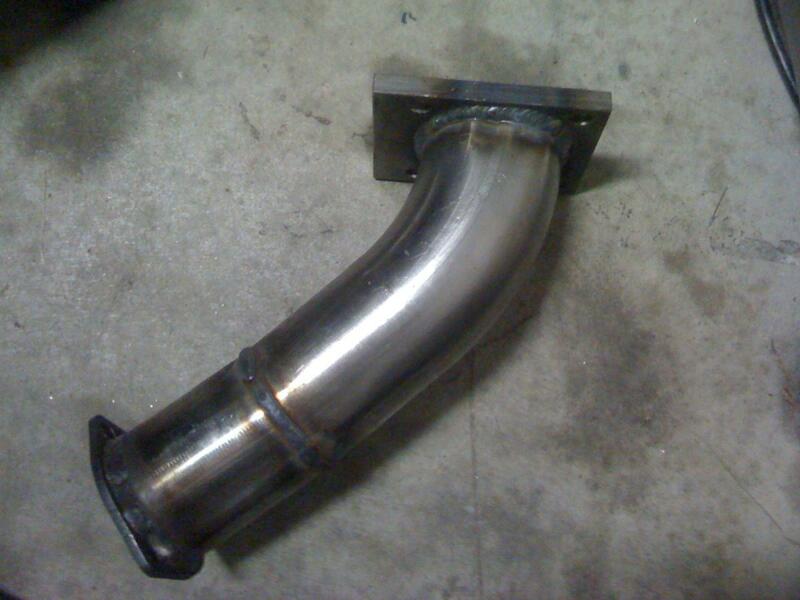 Pipe bends look nice n' smooth, where did you get your piping and bends? 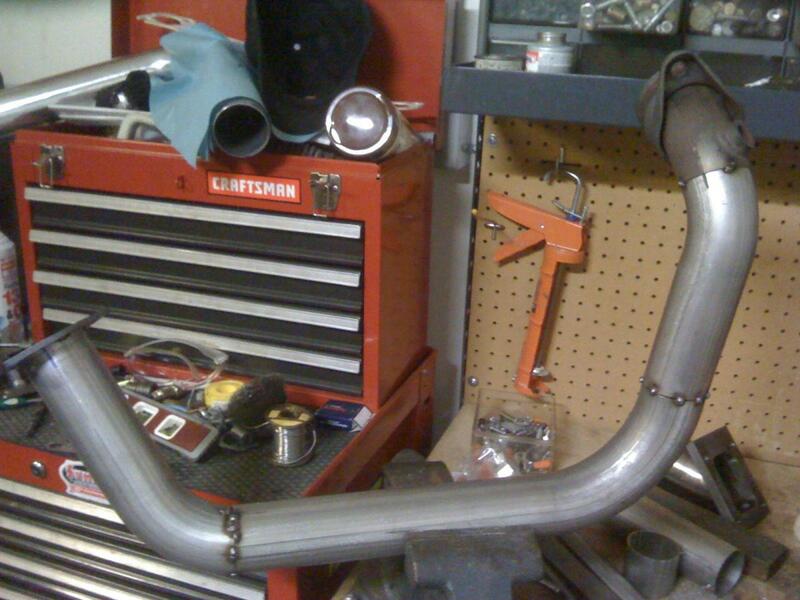 all the pipe is magnaflow mandrel bends, it is really nice stuff. I made an offer on performancepeddler.com's ebay store and got a hell of a deal for all of it. Not a problem. I guess I'm gonna coat the stuff myself. not sure if I want to order the Tech-line coating or the Por20. Painted the piston, are you kidding me? He's got to be lying.